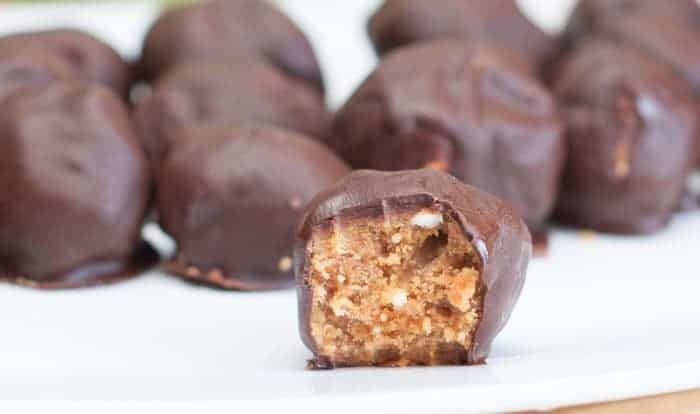 Vegan Cashew Cacao Bliss Balls are little bites of coconut dusted deliciousness that are deceivingly healthy! 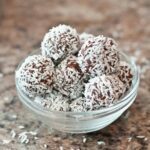 I’ve made these little Vegan Cashew Cacao Bliss Balls of cashew, cacao, and coconut deliciousness before, but I’m sharing them again because, well, they’re just that good. Oh and they’re soooo easy to make. Plus, they’re not only vegan but also gluten free! 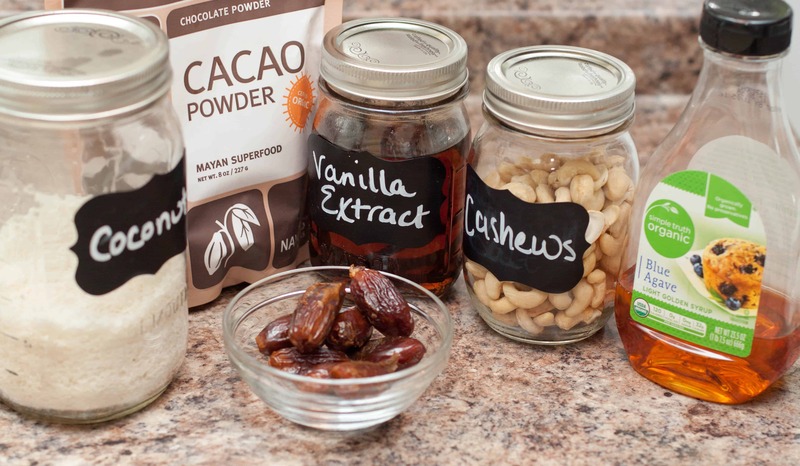 Plus, did you know that raw cacao powder is a super food? It’s packed with magnesium, calcium, iron, and it’s packed with antioxidants which has tons of other health benefits. It’s sooo good for you and delicious! and you’re done. Little balls of bliss that’s perfect sweet healthy snack perfect for your vegan, gluten free, and anyone in between! 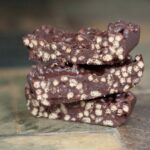 Energy packed, super food rich, easy to make and delicious! 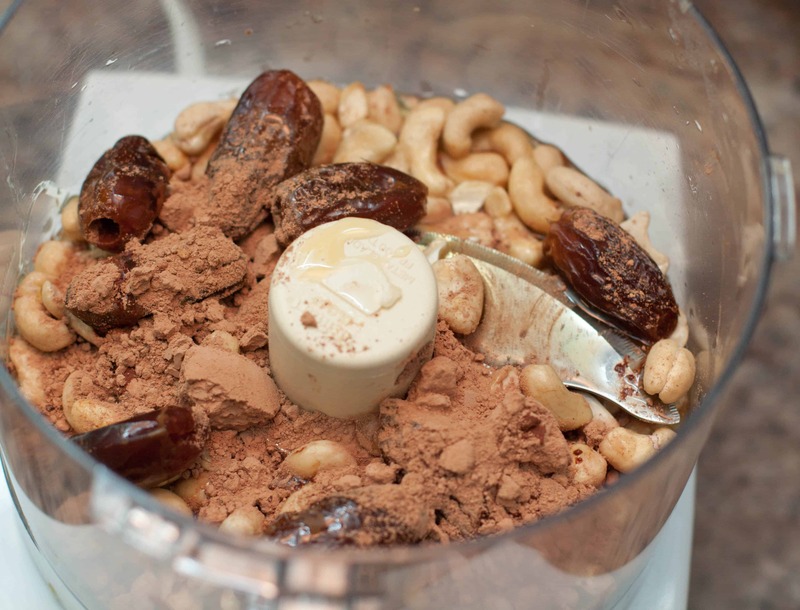 Add cashews, dates, cacao powder and vanilla to a food processor. 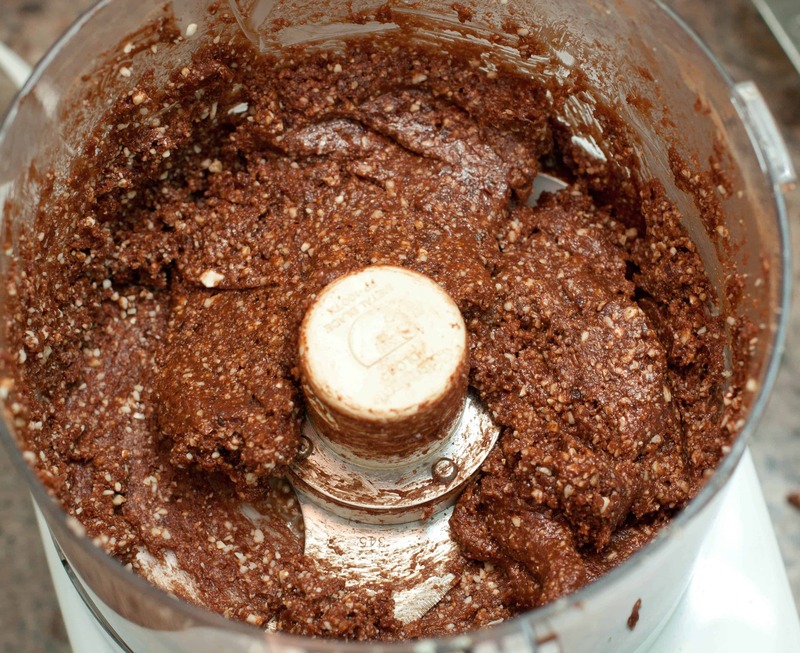 Blend and while blending add the agave syrup. 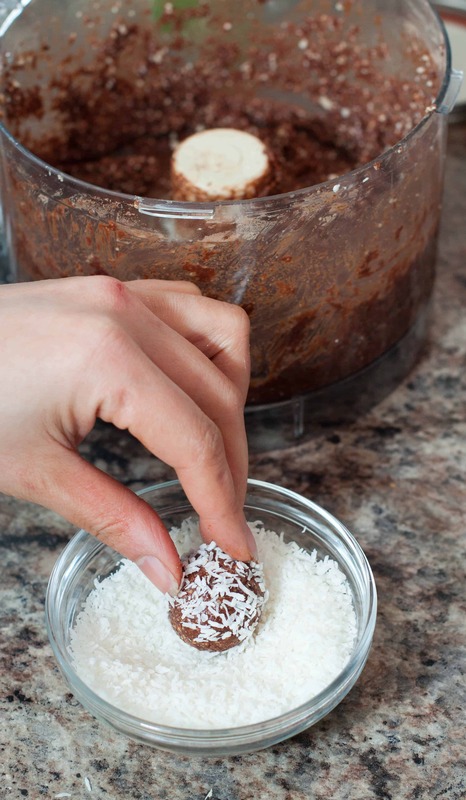 Form the mixture into small balls and then roll them in a bowl with the coconut until coated. Place in fridge until balls are hardened. I’m going to try to make these for my Mom! She is gluten lactose intolerant. I have been having trouble finding unsweetened coconut. I looked again last week. Do you thin sweetened coconut would be ok, or will it be too sweet? Hey Beth! That’s great! 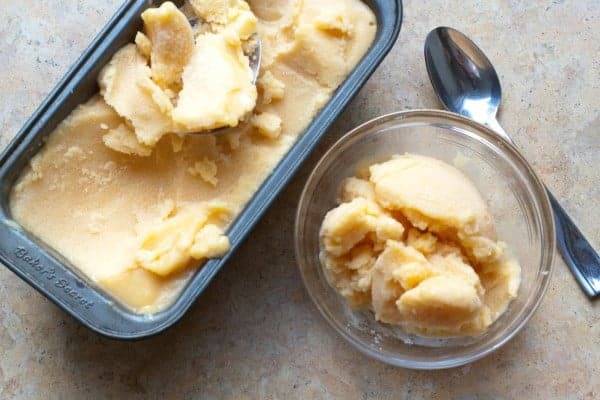 Sweetened coconut shouldn’t be too sweet, although if she likes things a little less sweet maybe try using coconut oil instead of agave to cut down the sweetness there. Also, if you’re an Amazon Prime user, Bob’s Red Mill is a great option – http://www.amazon.com/Bobs-Red-Mill-Shredded-Unsweetened/dp/B002YR7A9Q . I go to Amazon for all the things I can’t find locally in stores 🙂 I hope your mom enjoys them! These look great and so easy to make! I like that they are naturally a sweet treat. Yumm!! 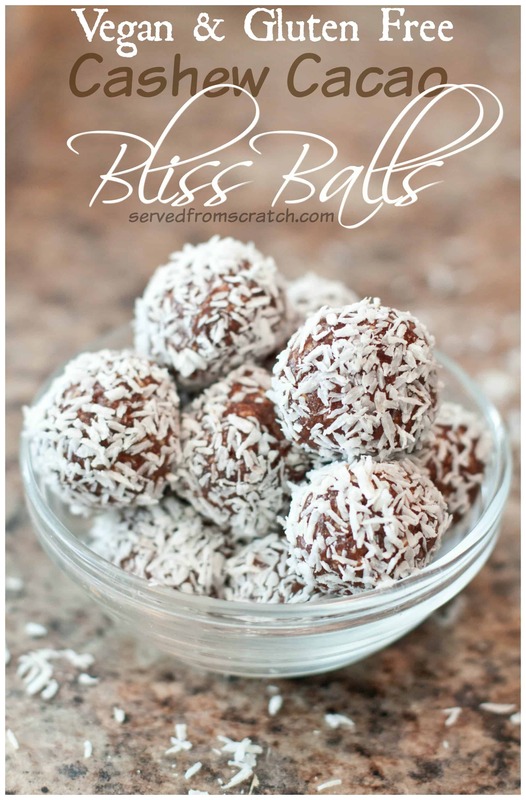 These bliss balls are so mouth-watering, bookmarking this recipe!! These would be perfect for my post workout snack! And so easy to make as well! I love recipes that only have 2 steps! And these look so good and healthy. Although maybe not that healthy if I eat a dozen in one sitting lol. Awesome recipe! Yes! I love this recipe. Bites are my favorite and I need to make some- it’s been too long. I also have trouble finding unsweetned coconut where we live so I usually order it online. Healthy & delicious! These look absolutely amazing. YUM! 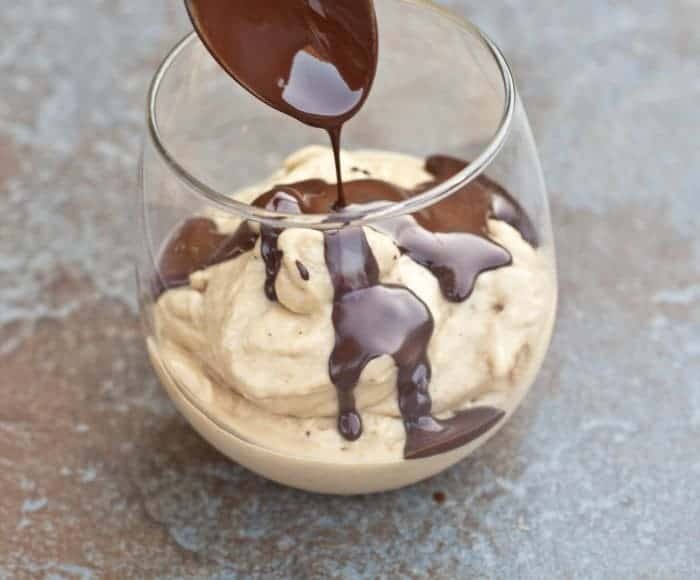 These look so decadent, but are healthy! Awesome. These look so good I would have a hard time eating only a couple. I love cashews so these are right up my alley!! These would definitely satisfy my sweet tooth in a completely non-guilty way. I love anything with dates in it! I love making homemade snack balls and make something very similar at home. So tasty! 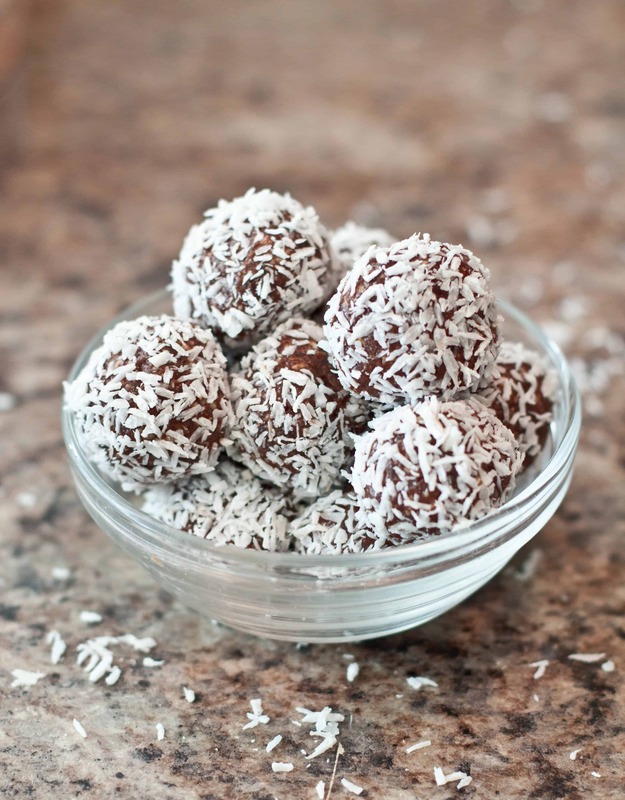 I love coconut and dates, these little balls sound wonderful, what a great healthy snack option! I love the sound of these! I make my own cashew milk at home and I was wondering whether these might work with the cashew pulp rather than the whole cashew in the mix? What do you think? I hate wasting food!! 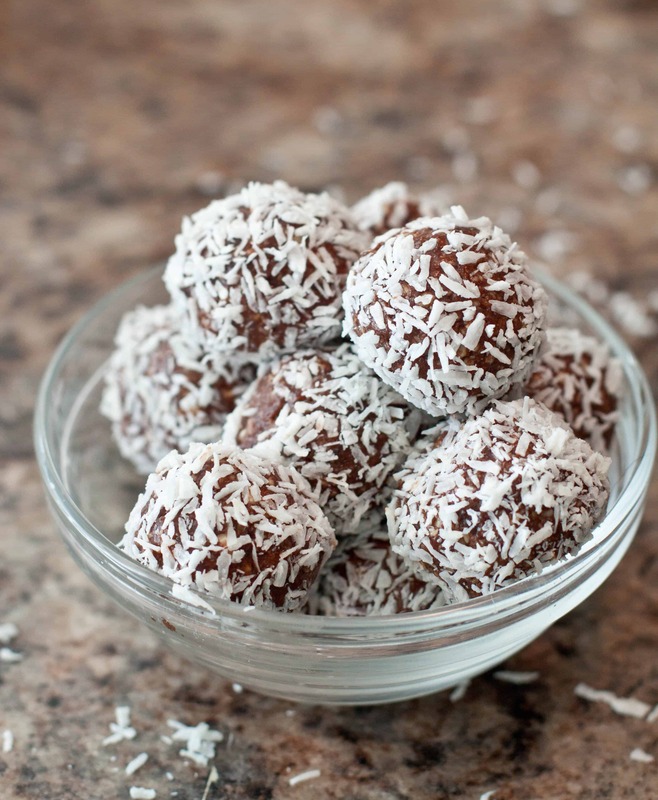 I love these no-bake, no-cook bliss/ energy balls. I’ve tried it with roasted nuts but never with just cashews. I am sure they must have tasted amazing. 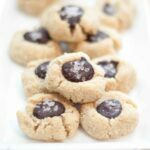 I love coconut and with these cashews in this I am sure this would be even more delicous as a treat. My kids will love these! 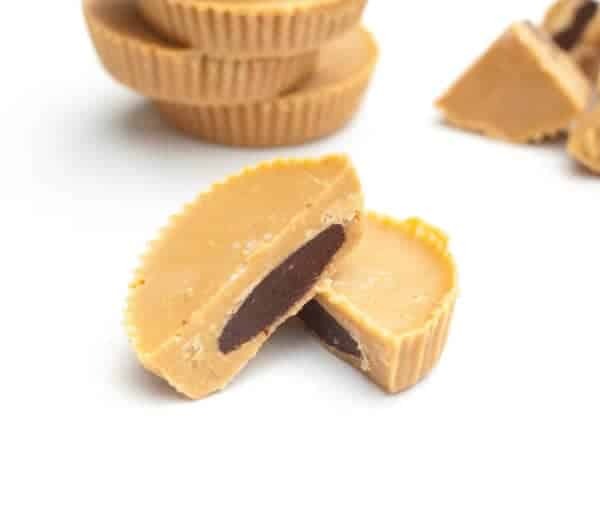 These sound super duper easy to make! That is my kind of snack recipe! Now I am hungry! So great for grab and go snacks! Looks soo gooood!